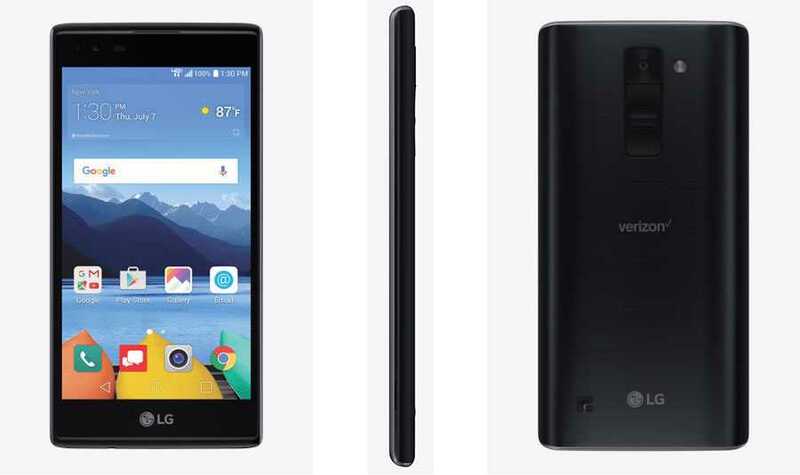 In the second week of June 2016, the Korean manufacturer LG launched its LG K8 V solely for Verizon. In other words, the gadget will be available for purchase only in Verizon stores and through the Verizon website. Similar to one of its predecessors in many ways, the LG K8, this smartphone has a few variations and is a true budget handset. Apart from the standard black and white colors, the device is available in indigo and gold options too. It may be interesting to note that the K8 V supports 2G, 3G and 4G networks. Once sales begin around the middle of June, the smartphone will be available at a discounted price than the actual planned price for a stipulated period of time. The LG K8 V will sport a sleek and modern design with a size of 144.5 x 72.4 x 8.7 mm and weigh 133g. Like the earlier K8 model from the manufacturer, the handset is going to come enclosed in a plastic body. This choice of body material adds to making the device really lightweight. Moreover, the back cover will portray a brushed pattern design. The rounded corners are sure to add looks to the Verizon device. Typical of any LG smartphone, the volume control, camera shutter and power buttons are going to be located on the back panel. This design makes the buttons easy to operate using just one hand, even as you are attending a phone call. The LG handset will make use of an IPS LCD HD screen that is about five inches in size. The display will encompass a pixel resolution of 720 x 1280 and a pixel density of 294ppi. Although these values are by themselves not very great, they are quite acceptable for a medium priced gadget. Because of the IPS LCD screen, the K8 V is bound to be a good option for those who want to catch up on reading or watching a movie. The glass of the display is claimed to be scratch resistant which is sure to be an added advantage for the smartphone. The exclusive Verizon offering is slated to have decent primary and secondary snappers. If ongoing talks translate themselves into the final specs, the rear camera is an 8MP shooter with 3264 x 2448 pixel resolution. Apart from including an LED flash, there will be added common functionalities like self timer, face and smile detection, touch and auto focus, face beauty, voice capture and HDR. You will also be able to capture a still photo and record a video simultaneously. The primary snapper will also record 1080p HD videos. The front camera is not bad either with a 5MP value. The key highlights of this secondary shooter are reported to be the gesture shot and the interval shot. To use the gesture shot, you must make sure that the appropriate icon is selected in the camera settings. When this is done, all that you will have to do is just wave your palm in front of the snapper followed by a clench of your fist. This will take a photo in just three seconds. As for the interval shot, this feature can be used to capture four selfies at a time. All it takes to do this is that you will have to keep the camera shutter button pressed for a few minutes. The LG K8 V gadget does not stop with just these two aspects for selfie lovers. If you activate this in the camera settings, when you look at the front camera, it will automatically take your photo. The hardware section is one area that the K8 V promises to be different from the LG K8. At the press release announcing the launch of the handset, Verizon or LG did not announce the amount of RAM loaded. Yet, there are speculations that this will be 1.5GB. The smartphone will include a Qualcomm Snapdragon 210 chipset with a quad core processor that ticks at 1.3GHz. The device will allow expansion of the available internal 16GB storage by an additional 128GB using a memory card. Android lovers can be happy to know that the smartphone will come with Android 6.0 Marshmallow installed out of the box. The LG K8 V handset uses a Li-ion 2,125 mAh battery to give a usage time of 22 hours. Surprisingly, when non-removable batteries are the trend these days, the LG smartphone is all set to surprise you with a removable battery.